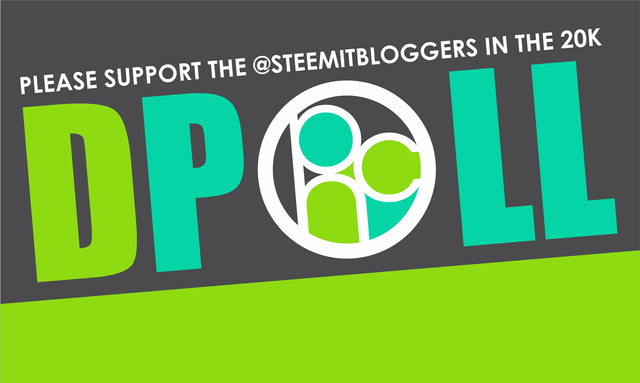 Our @steemitbloggers community (founded by @jaynie) is comprised of individuals who are tirelessly dedicated and enormously passionate to not only the upliftment and betterment of #STEEM but to the people actively involved in it too! 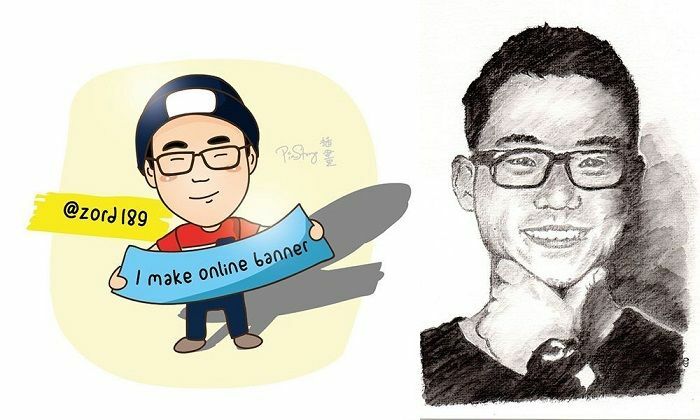 Our efforts, support, and influence extends far and wide into some of the most revered and loved communities, initiatives, apps, and individuals on the Steem blockchain. We have even began to promote Steem outside this blockchain, that means facebook, instagram, twitter and other socialites so people will come to know STEEM. The 20k delegation will be in EXCEPTIONALLY good hands and its benefits will spread far! STEEMIT, WE NEED YOUR HELP TO WIN THIS DELEGATION POLL ONCE AGAIN. I know that you guys have voted for us in the first contest which we end up winning second place but we as a community will not give up and will do our best to fight for this contest again. Will you join us again? PS : I'm sorry if you are bothered by the tagging of your handle. Hope you don't mind. Your decision means the world to us and we will definitely continue to build the Steem blockchain together, regardless whether we win this contest or not. We've even made a community video to show you how dedicated and enthusiatic we are!! I already voted this round for @steemitbloggers! Good luck! It is my pleasure! Your group does a lot of good. Keep up the good work and encouraging creative writing and teamwork. And a big THANK YOU to everyone who's helping support our little community! With the delegation from @theycallmedan, we'd be able to reach a lot more people in the greater Steemit ecosystem! Why is @steemitbloggers a great choice? Because we're an "all-round" community organization, not a specific niche organization. Many of our members are part of many other groups so our reach is extremely broad... and we're about SO much more than just supporting "our own." Which is why you see the green and blue Power House Creatives footers ALL OVER Steemit, Busy, dTube and other venues. An important thing to bear in mind, yes - @steemitbloggers members touching and changing all kinds of communities. As it was said earlier, a vote here is a green light to curation. Supporting both creators and curators directly and indirectly. Done with the voting! Keep up with steemitbloggers. Thank you for constantly supporting our little initiative! I love being a part of the #powerhousecreatives. The support you have from other members is great, it is a brilliant way to get to know other steemians and to see quality posts. Anyone can join as long as they produce good posts and are prepared to support others. Every time I get discouraged by the price of Steem, or just feel like, "what's the point of blogging?" without fail, someone from the @steemitbloggers (aka #powerhousecreatives) community says or does something that reignites my creative spark. If it weren't for this wonderful cyber family, I doubt very much I'd still be active on the Steemit blockchain. You got me on this one haha! I did not think of those forgotten souls. Please if your name is on the list and you see my comment we need your help. You helped us before can you please help us again. Resteeming .. in case someone not on the list decides to help, Thank You :). I know they will because they want Steemit to continue to grow. There is always something for everyone in this community. The spirit of the members are high and during times of low they are always there to support. @steemitbloggers now known as the #powerhousecreatives is what I call an amazing family. Thank you @watersnake101 for being part of this wonderful family. OMG!!! Thank you so much @project7 and to have someone of your caliber come and vote for a small community like mine gives us hope!!! Thank you a million times over! I would vote if they used Keychain to authenticate. I don't feel comfortable entering my steem keys in 3rd-party websites. Sorry. How do I know that it's the real Steemconnect until it's too late? Too many phishing scams out there to risk my wallet security. #powerhousecreatives represents all that is RIGHT and GOOD about the Steem ecosystem. We appreciate each and every one of you who have supported us in this endeavor. And there wouldn't be an endeavor without the phenomenal support of @theycallme dan. Love you all. Thank you for the tag @zord189. I already voted for this one. Thanks for the gentle reminders @zord189 :) Voted! The little community that COULD! Thank you @zord189 and @jaynie for continuing to fight so hard for us. Your selflessness, grit and determination is an inspiration for myself and so many others. Just when I think I couldn't be more proud, one of the #powerhousecreatives folks shows up and blows me away in the best ways possible!